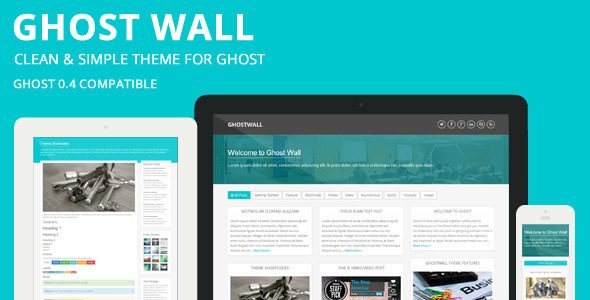 WordPress Themes, Ghost Themes & HTML Templates. 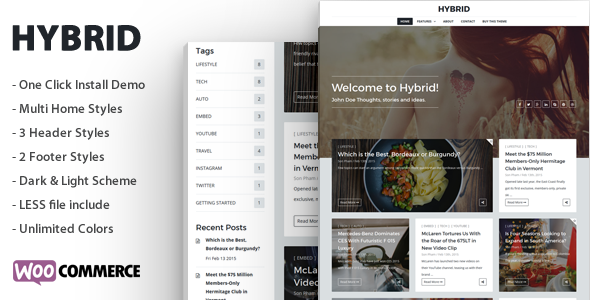 Hybrid is A Clean and Modern WordPress Blog Theme. Clean, minimalistic and contemporary design is guaranteed to wow and inspire! 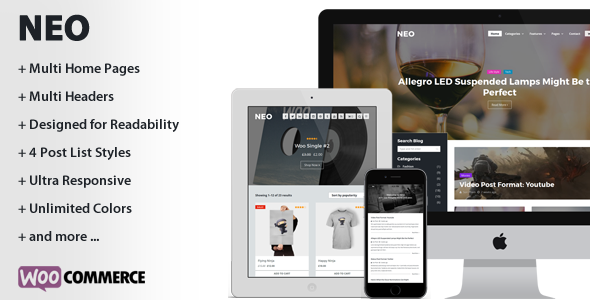 NEO is a modern personal WordPress Theme. It will give you a new way for displaying your content and designed for readability on all devices. 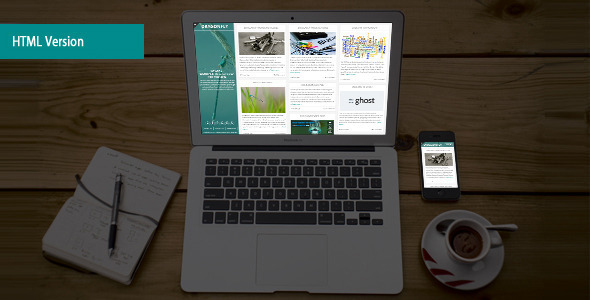 MARQUIS is a Stylish and Content-Focused Theme for Ghost. It was designed for readability on all devices. It can be used as a personal blog, portfolio, journal. 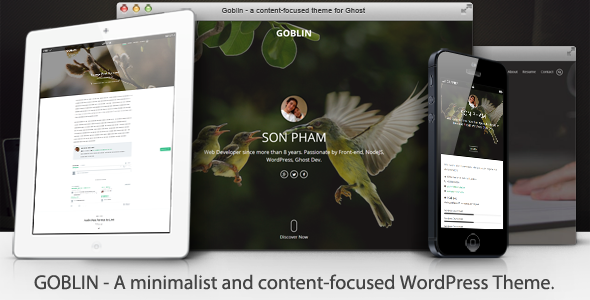 Goblin is a minimalist and content-focused WordPress Theme. It was designed for readability on all devices. 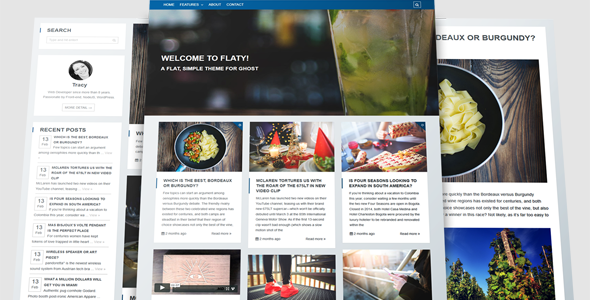 The theme supports post formats and can display images, videos and audio at full width. NEO is a modern blog theme for Ghost. It was designed for readability on all devices. The theme supports post formats and can display images, videos and audio. There are a lot of themes out there, but few of them offer the significant customization we do. All of our themes are built upon latest web technologies and standards, including semantic HTML5, CSS3, LESS, and Grunt. The look of your website is perhaps the most important aspect. We make sure our theme designs are both modern, beautiful and functional. We are all about the simple install and the simple features, we try and make things very easy while still giving you the ability to customize the theme. All our themes dynamically resize to fit the visitors device, so they look pixel perfect on mobile, tablets, and desktop devices. We care about our customers and provide 100% free support and updates. Answer customers's questions, help them is number one priority for our team. All our theme provides very easy and comprehensive set of theme options that will help you configure and modify the things around your website more easily. For the lifetime of the theme, we provide updates which ensure support for future platform versions and continually add extra features. We made 100% of our clients happy with Premium Products. Sunflower has done an excellent job leveraging web standards to produce an extremely code clean theme. Great work and thanks! Fabulous theme, exactly what I needed. Love the filterable posts. An absolute pleasure to work with as a novice. I had zero experience and managed to make my blog completely meet unique brand standards. The code quality, comments, and documentation made it a breeze to work with. Fantastic theme. Theme is awesome. I was looking for one with readability in mind, not just design, and this one from a reading standpoint is outstanding. Thanks! Also for quick, accurate responses to questions. One-to-One theme support included with all our themes, and access to theme updates for the life of the theme. We design, code and develop premium WordPress Themes, Ghost Themes and Html Templates. Our Themes are built upon the latest coding standards and web technologies ensuring a high performance, user friendly experience. A product of Sunflower Solutions.